We arrived back in Padang around 230pm. The sun was high and it was hot and both Hendri and I were falling asleep. Driving often myself, I felt that it was best to rest. Besides, there was not much we can visit in the hot afternoon sun. After a brief rest back in my hotel , Hendri came to pick me up for the evening tour around Padang at 4pm. 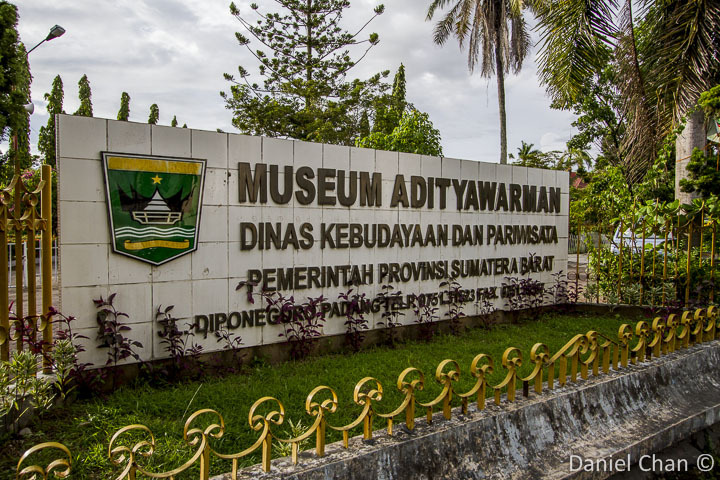 We went to see museum in the city of Padang named Adityawarman Museum. 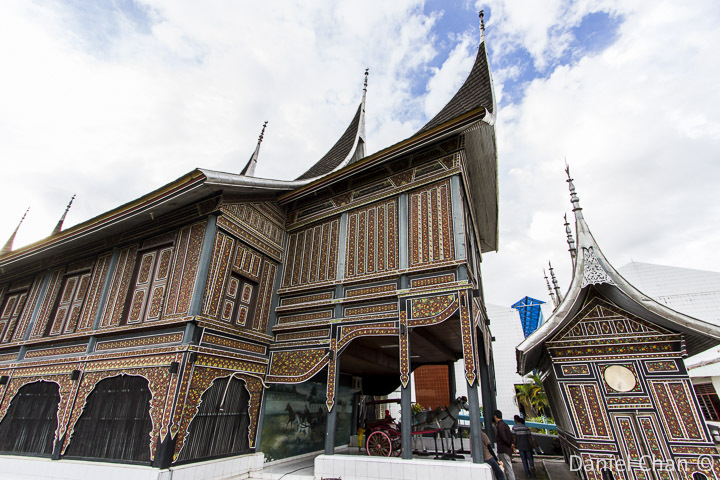 I mainly wanted to just see the Minagkabau designed house known as Rumah Gadang. 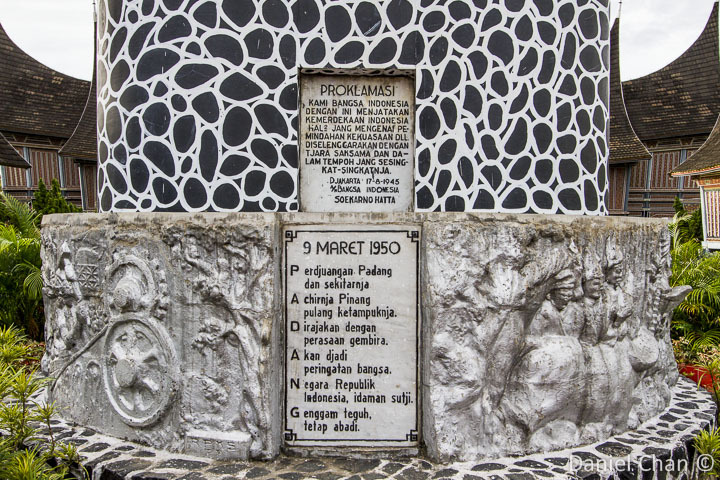 There is a monument commemorating the struggle of 1950 in Padang. This will be used to store rice. These houses are huge. The size of these houses is due to the fact that the rumah was meant for an entire family or village. It is a community very much like the longhouse in Borneo. 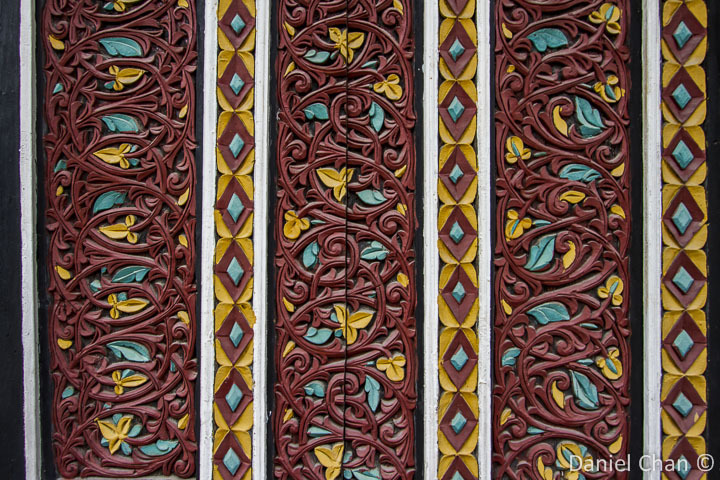 Motifs and carved designed line the walls of the rumah gadang. 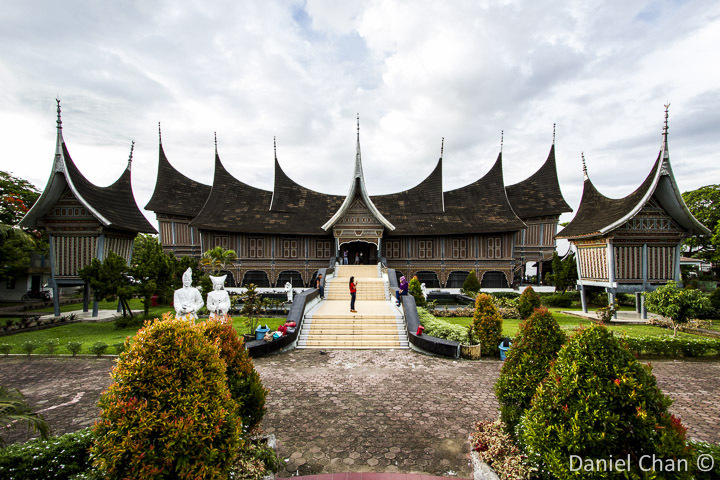 In the matrilineal Minangkabau society, the rumah gadang is owned by the women of the family who live there and ownership is passed from mother to daughter. 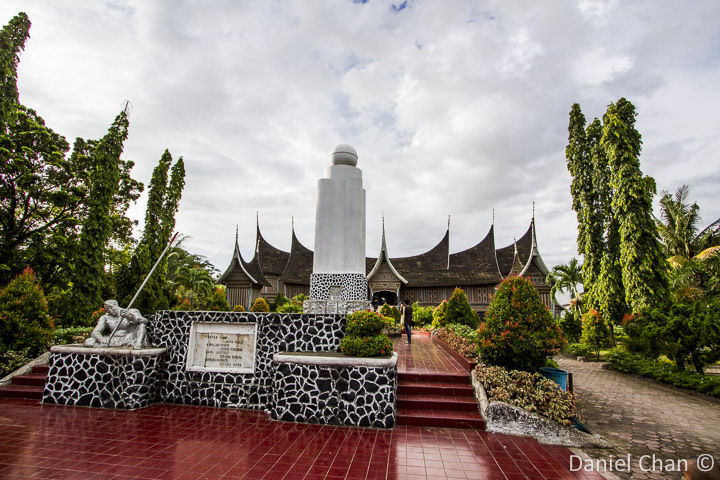 Many houses and buildings in Padang still hold to the designs of the rumah gadang. Though not many originals are left, you can still see modern buildings borrowing the design concept. 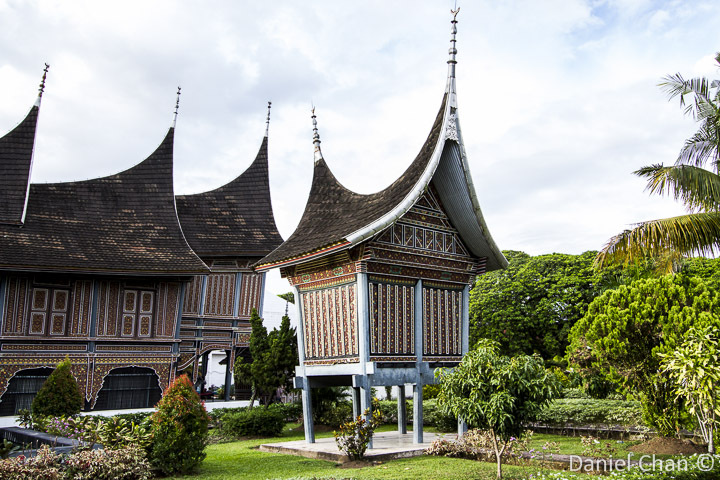 Distinguishable by the curved sharp ended roofs, the rumah gadang is certainly unique to this part of Sumatra.